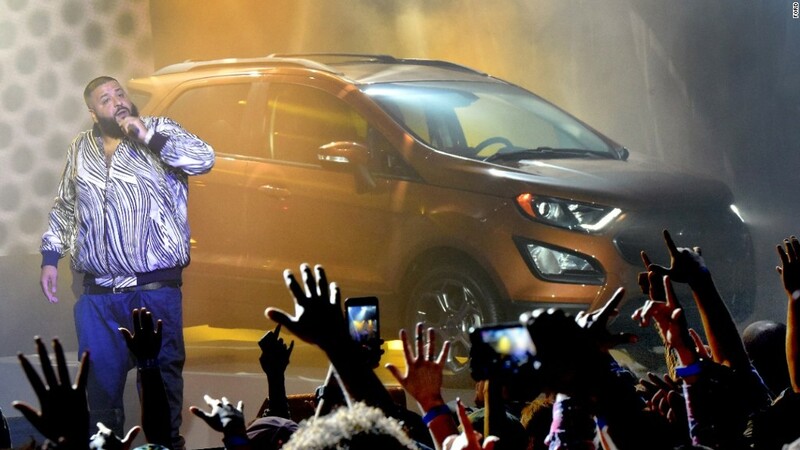 With help from Snapchat sensation DJ Khaled, Ford Motor Co. unveiled its new subcompact SUV, the EcoSport. It's the first time a major automaker has used Snapchat to unveil a new car. It's not the first time Ford (F) has used social media to unveil a new vehicle, though. In 2010, Ford used Facebook to unveil its new Explorer SUV. The unveiling took place within a special compound Ford created just off Hollywood Boulevard in Hollywood, California, before the start of the Los Angeles Auto Show. A large parking lot was sectioned off with areas that included, among other things, a faux beach, a wooden bungalow and a zoo filled with cute animals. DJ Khaled is a disc jockey and rap music performer, but is best known for his appearances on Snapchat, a social media platform built around photos and video. He is known for his unceasingly positive messages, sort of like a hip hop motivational speaker. The Ford EcoSport will be available in the U.S. for the first time beginning in 2018. The EcoSport is a small SUV model that has been available in countries outside the U.S. since 2003. Subcompact SUVs have become a huge business in the U.S. where small SUVs are already the largest segment of the automotive market, according to data from Kelley Blue Book. Other automakers already sell models such as the Chevrolet (GM) Trax, Honda (HMC) HR-V and Jeep (FCAM) Renegade. With its latest redesign, Ford is making the EcoSport available to U.S. customers. The automaker also decided to unveil the new version in the U.S. 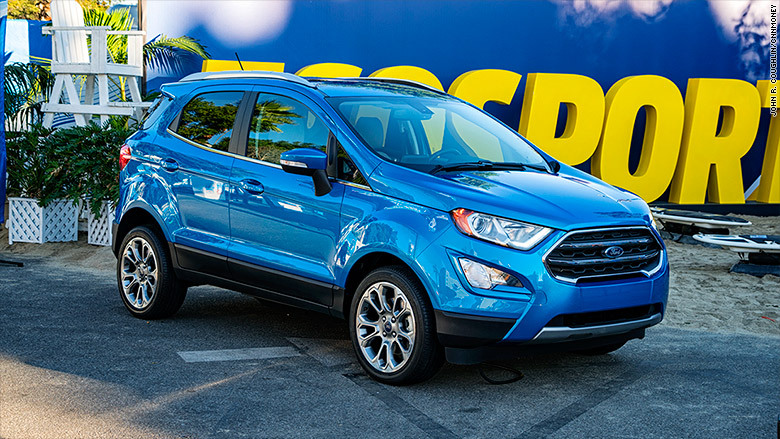 The new EcoSport's base engine is a turbocharged 1.0-liter three-cylinder horsepower engine that's also used in Ford's small cars. A 2.0-liter engine will also be available. The EcoSport's tailgate swings out to the side rather than up. Ford says it provides easier access to the cargo area. Ford has not yet announced pricing for the EcoSport. It's expected to go on sale early in early 2018.